The World Health Organization (WHO) looks increasingly likely to recommend stringent restrictions on e-cigarettes, following an internal report which suggests measures including a blanket ban on indoor use and tight controls on advertising. Describing e-cigs as “filled with promise and threat for tobacco control”, the report also echoes many other bodies’ calls for rules on flavours and a prohibition on sale to minors; urges that Big Tobacco be excluded from the regulatory debate over e-cigs; favours a twin-track approach to regulation; and even proposes that the term “e-cigarette” be banned from advertising. Its proposals will be presented to a meeting of the parties to the WHO’s Framework Convention on Tobacco Control (FCTC) in Moscow in October. The FCTC is a treaty, ratified by most nations with the notable exception of the U.S., which commits them to taking tobacco control measures – and the report is likely to have a strong influence on their development of e-cig policy, although even if they agree with its suggestions, these would still have to be implemented in domestic law by the FCTC’s individual signatory nations. E-cigarettes – or electronic nicotine delivery systems (ENDS), as the report calls them – are, according to the WHO, “the subject of a public health dispute among bona fide tobacco-control advocates that has become more divisive as their use has increased”. While acknowledging that the health impacts of e-cigarettes on both a personal and public level are not yet well-understood, and that e-cigs are likely in some respects to pose much less threat than tobacco, the WHO nevertheless identifies health concerns which lead it to support relatively strict regulation. The aerosol produced by e-cigs “is not merely ‘water vapour’ as is often claimed in the marketing for these products”, the WHO says. “ENDS use poses serious threats to adolescents and fetuses. In addition, it increases exposure of non-smokers and bystanders to nicotine and a number of toxicants,” and non-vapers are put at risk of “adverse effects of particulate matter from any source”. Poisoning by ingestion of e-liquid, and harm from skin contact with the fluid, are also likely to be more common than reported since incidents are not widely monitored, the WHO believes. It is also worried about the impact of e-cigs on patterns of taking up, and giving up, smoking. “Experimentation with ENDS is increasing rapidly among adolescents and that in itself is of great concern even if most of the young ENDS users also smoke,” it says. As for e-cigs as a smoking cessation aid, the WHO recognises that the products may have some benefits, but says they are also likely to lead to dual use with combustible tobacco rather than a complete quit. And flavours “could facilitate the development of tobacco dependence by enhancing the sensory rewards of ENDS use”. On advertising and the role of Big Tobacco, the WHO finds that e-cigarettes fall frequently afoul of the basic principles propounded by the FCTC. “While medicinal use of nicotine is a public health option under the treaty, recreational use is not,” it warns. The tobacco sector’s increasing involvement in the e-cigarette business, meanwhile, is “of grave concern in light of the history of the corporations that dominate that industry. • Bans on indoor vaping, at least until exhaled vapour is proven not to be harmful to bystanders, “since the reasonable expectation of bystanders is not a diminished risk in comparison to exposure to secondhand smoke but no risk increase from any product in the air they breathe”. • Allowing indoor vaping would also require that “reasonable evidence exists that smoke-free policy enforcement is not undermined”. • No claims of health benefits or efficacy in smoking cessation to be made by suppliers without scientific evidence and regulatory approval. • No “fruit, candy-like and alcohol-drinks” flavourings until empirical evidence shows they don’t attract youth to the products. • No sale to minors. • Advertising, promotion and sponsorship restrictions through regulation – indeed, the WHO says outright bans would be preferable to voluntary codes, though limited promotion “may be considered acceptable…if empirical evidence shows that ENDS might play a role in helping some smokers to quit without leading to increased ENDS use by minors and non-smokers who otherwise would not have used nicotine”. • A prohibition on advertising that uses “the words e-cigarette, electronic cigarette, or any other descriptor that might reasonably be expected to create confusion with the promotion of cigarettes and other combustible tobacco product”. • Tobacco companies to be kept out of the regulatory debate, under article 5.3 of the FCTC. 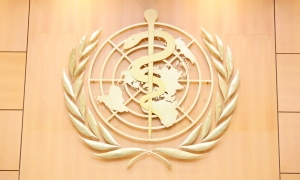 The WHO also suggests that in countries adopting its recommendations, “it is likely that a two-pronged regulatory strategy – regulating ENDS as both a tobacco product, in accordance with the provisions of the WHO FCTC, and as a medical product – would be necessary”. What This Means: Along with the general encouragement for e-cig scepticism given by the WHO’s imprimatur, the proposal for indoor vaping bans is the big development here; nobody can really have expected a laissez-faire attitude on flavours and minors, or for that matter on Big Tobacco, given the organisation’s historic enmity toward that industry. Widespread legal prohibitions on using e-cigarettes in enclosed spaces could, however, seriously threaten the industry by undermining the products’ attractiveness to consumers, and would clearly place e-cigs on a comparable regulatory level to combustibles. Having said that, these are only recommendations, which are likely to come in for some vehement rebuttals over the next few weeks from those who see e-cigs as a golden opportunity for harm reduction. They also do allow for laxer regulation if and when evidence supports it, despite the overall tenor of the report: brief acknowledgement for positive aspects of e-cigarettes, then a focus on the potentially negative. And even if they are adopted by October’s Moscow meeting (known as the sixth conference of the FCTC parties, or COP6), they still require national legislation to come into force – which will take time, and be open to challenges.